The volunteers last night were interested in helping in all areas of the Shelter from gardening to the Charity Shop, reception to helping with the ambulance, animal care to fund raising. 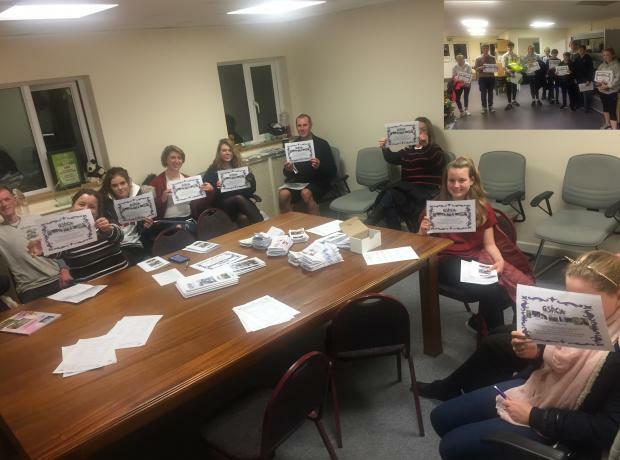 10 of the new volunteers were keen to carry out their Duke of Edinburgh Awards 8 for their Bronze and 2 for their Silver and we often see 40+ Duke of Edinburgh placements each weekend. We are always looking for help at the GSPCA as there is so much to do from fund raising to caring for the animals, the animal ambulance to gardening, painting to answering the phone, our charity shop to helping at events. We welcome all that are interested in helping at the GSPCA and with our work, although for those wanting to help onsite at the Shelter the minimum age is 13. The evening inductions start at 630pm and takes around 90 minutes and after a talk you get the chance to chat to a member of the team and set a date to start volunteering.